* Trillium on the Greenway: If you like your craft brew with a side of greenspace, head to the Rose Kennedy Greenway this weekend to Boston brewery Trillium’s new beer garden. Located at Atlantic Ave. and High St., this new outpost features views of Boston Harbor through the Rowes Wharf archway and about a half-dozen beers on tap. Open Saturday and Sunday from 11AM-10PM, the beer garden is an excellent way to enjoy the fruits of all that Big Dig labor! 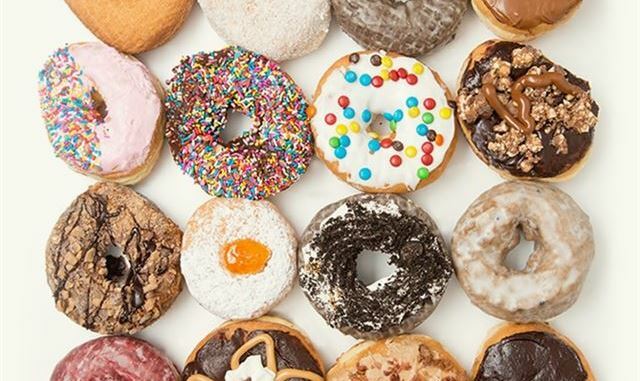 * Doughnuts: Friday is National Doughnut Day, but why limit yourself to just one day?! Boston may run on Dunkin, but you must try some of the city’s best gourmet offerings. Kane’s Donuts (90 Oliver St., Boston) serves maple bacon and a seasonal butter pecan that are worth the foray into the Financial District. Blackbird Doughnuts has a Boston Cream that got the rave review of Adele and has locations in both the South End (492 Tremont St.) and most recently Fenway (20 Kilmarnock). * Polo: Live like Jay Gatsby this weekend at the opening of the Newport International Polo Series this Saturday (250 Linden Lane, Portsmouth, RI). Wear your summer casual chic best, grab a bottle of Veuve, and prepare to live like a member of the royal family. Be sure to save time and visit the Newport mansions!